You don’t have to be a designer to have your own branded marketing media. 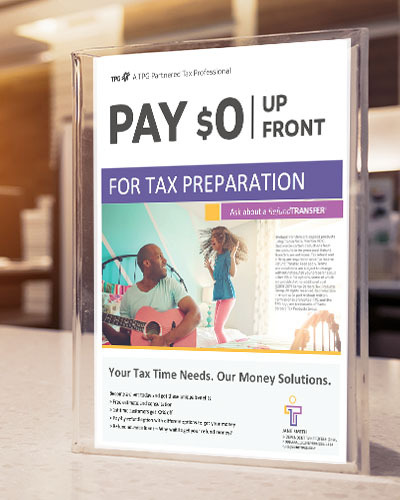 TPG offers you editable marketing templates in a Microsoft Word format, in an assortment of colors, for free. Use the logo provided or insert your own. Change the colors and the text* as needed. Print directly from your office computer. Some templates are even compatible with Avery paper products, available from any office supply store. 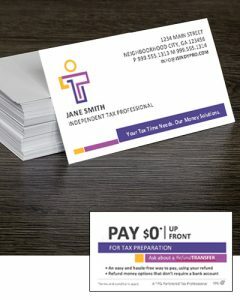 Download these double-sided business cards, featuring the Refund Transfer. Change the type and the color to suit your needs. 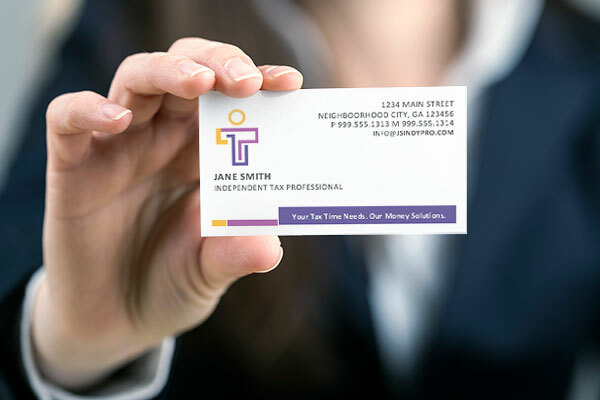 * Print on Avery Business Cards 8871 using your office printer. Just like the business cards, you can adjust the colors and the type to make this stationary yours. 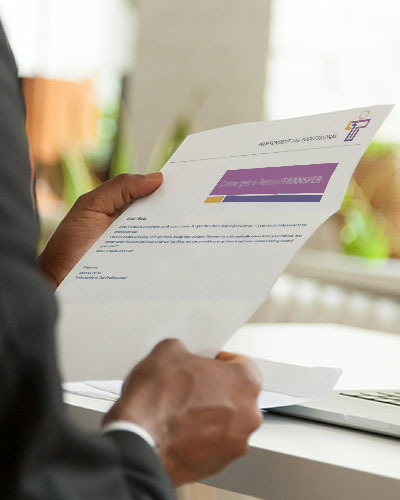 Use the direct mail letter to attract and retain more clients. Get the word out in your neighborhood with these brand-able door hangers. Change the type and the color to suit your needs. * Print on Avery Door Hangers 16150 with tear-away business cards or coupons, using your office printer. 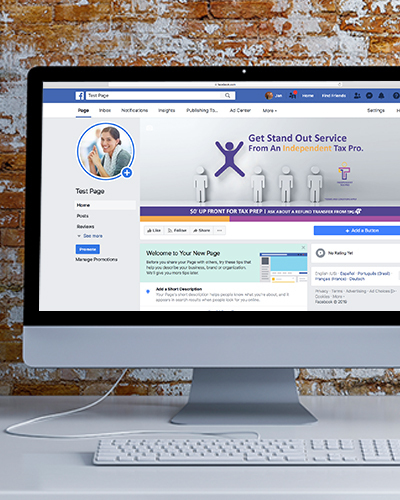 Complete your professional image with our Facebook profile page and cover photos.